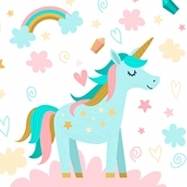 Unique range of Unicorn Gifts for Children to create a fairy tale fantasy. Our bright and colourful collection of unicorn themed accessories are ideal for your children and practical. Includes beautiful backpacks, lunchboxes and jewellery boxes, bedding and room decoration. Let your little princess be in ore with our magical collection of gifts and presents; perfect for every special occasion. 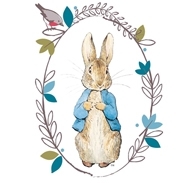 Choose from an array of different gifts, from backpacks, lunch boxes, bedroom accessories and back to school goodies, take a look at our popular Stephen Joseph and Wildkin collection. Perfectly affordable, these high quality gifts and accessories make the perfect daily essentials for your children. Choose from practical backpacks and insulated lunch boxes to decorative wall stickers and bedroom gear.